The military participation rates appear to mimic FERS participation rates in its first decade. 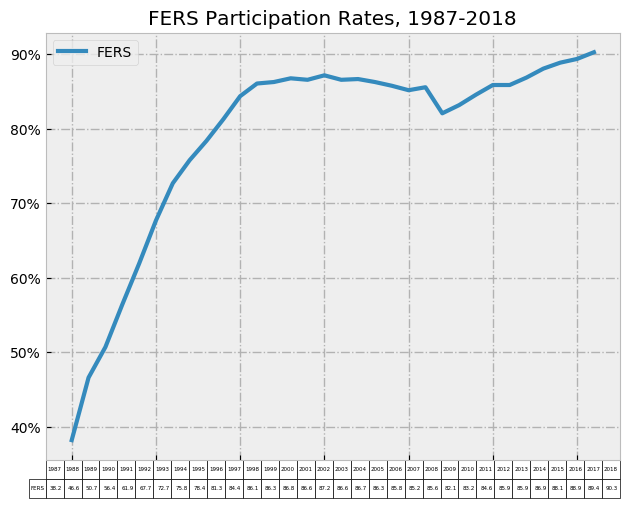 Long-term, FERS participation rates grew from the 40% range in its first year of existence to the 80% range ten years later. It hovered in the 80s for the next two decades, but slowly began to increase again after automatic enrollment in the TSP was instituted for new hires from 2010. Congrats to everyone who has or continues to build wealth in their Thrift Savings Funds!